The I-1183 coalition announced today it has has filed a lawsuit in Thurston County Superior Court, challenging the rules adopted by the Washington State Liquor Control Board in the implementation I-1183, the liquor privatization initiative approved last November by 59 percent of Washington voters. The I-1183 coalition includes the Washington Restaurant Association (WRA), the Northwest Grocery Association (NWGA) and Costco Wholesale Corp.The lawsuit, filed late Thursday, asserts that the LCB is circumventing the language of the Initiative by arbitrarily restricting the wholesale distribution and pricing of wine and spirits. This approach erodes small businesses’ ability to compete in the marketplace; it protects distributors from competition and increases prices for consumers. Read on. • Understand the detailed requirements of the new ordinance and final regulations. • Analyze how this mandated benefit impacts existing sick leave or paid time off (PTO) accruals, expands the type of absences for which employees may use their accruals, and impacts call-in and absence control policies. • Examine your options for complying with this ordinance for part-time, seasonal, per diem or similar employees who may have previously accrued no sick leave or PTO. • Identify industry-specific concerns and possible compliance solutions through facilitated breakout groups. • Understand the ordinance and update your organization’s current policies. You’ll receive detailed written materials, including sample PSSL and PTO policies. 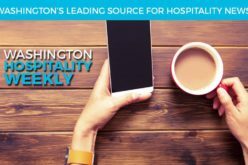 The deadline for this month’s Washington Restaurant Industry Tracking Survey (WRITS) is Saturday, June 23, and the WRA needs more member input. WRITS helps the state and national associations gather current information that may prove quite valuable to restaurant owners managing the growth of their business. It takes only 5 minutes and gives us the information we need to help you succeed. Head on over to the survey here. Supply-chain managers are paying close attention to a number of emerging trends that could affect the way the foodservice industry does business going forward, experts said at the National Restaurant Association’s recent Supply Chain Management executive study group conference in Chicago. An increased amount of patchwork legislation, the implementation of the Foodservice GS1 US Standards initiative, additional rules pertaining to the Food & Drug Administration’s Food Safety Modernization Act, more consumer interest in animal welfare and the Supreme Court’s ruling on the constitutionality of the health care law, are just some of the issues being monitored right now. Read on.